The Brisbane Golf Club has created history by becoming the first club to win the prestigious Brisbane District Golf Association Division One Pennant undefeated, and back-to-back. And not only did the team win successive titles for the first time in its 122-year history, but they share the honour with their lady members who currently hold the Brisbane District Ladies Golf Association Gold One Pennant, which they won in June. “This is an achievement of which every single member of our club should feel extremely proud,” said Club Captain Stephen Deane, a member of the winning team. “The club worked really hard to put together a team that was solid and competitive across all three divisions, and the result says we did that. As Club Captain, as well as a member of the winning team, I feel very proud indeed of our achievement. 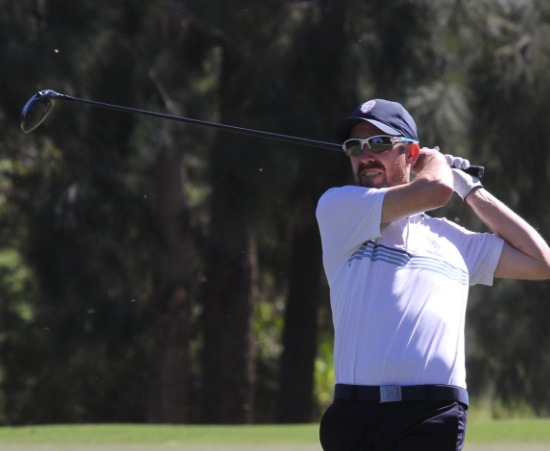 Although the Pennant is played over six rounds, so dominant was the BGC team that their second successive BDGA victory was sealed following a drawn result with Nudgee Golf Club in round five. But that did not stop the team from storming home in the final fixture, winning 12-9 against Keperra at the weekend. Leading the way for the team – which this past season was represented by 30 players made up of eight Juniors (under 18 years of age), nine Masters (over 50) and 13 Opens – were the Opens and Masters who won their individual Pennant. This is the fifth successive year the Masters team has achieved this remarkable feat and the second successive year it has remained unbeaten. But the quality of the individuals contesting the Pennant, and the closeness of the competition, was reflected in the fact that despite the convincing win only one member of the 30-man BGC team, 2017 Club Champion Lawry Flynn, was undefeated. Flynn, a Queensland State Team player, was a member of the star-studded undefeated Opens team that also featured Louis Dobbelaar, also in the Queensland team, current Queensland Schoolboys Champion Sam Slater, current Club Champion Steven Cox and six-time Club Champion, Cameron Powell. 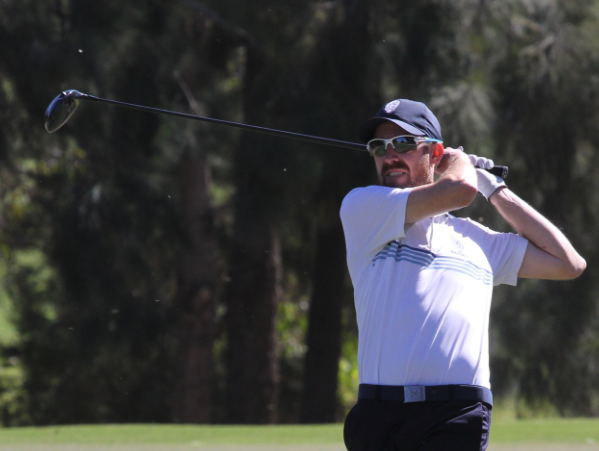 The Pennant season was off to perfect start for the Brisbane team with an exciting 11-10 win over the very strong Royal Queensland Golf Club, at RQ. The team went on to win three more of their five fixtures, with two matches drawn, giving them 10 points from the available 12. Of those 10 points, five from a possible six were secured away from home which, traditionally, is particularly difficult to achieve. Conversely Keperra Golf Club and RQ, which finished equal second tied on five points, could both win just a single point away from their home course. While the back-to-back, undefeated win may well have established a record, what is just as remarkable is the transformation of the club as a force in Pennant golf. The 2017 victory was the first in the BDGA Division One Pennant in almost eight decades. The club had been promoted to Division One only last year, for the first time since 2000. Previous to that they were in Division One just once before – in 1980 – and both times the club was relegated after just one year in the top grade. And remarkably, prior to last year’s win the previous time Brisbane saluted the judge in Division One Pennants was 88 years ago, in 1940. However, the club has now won four divisions in successive years – Division Three 2015, Division Two 2016 and these back-to-back Division One Pennants. BDGA secretary Warwick Nicol described the achievement of The Brisbane Golf Club as extraordinary. “To come from where they were in Pennant golf for such a long time, to back-to-back wins, is a remarkable effort and a credit to all involved,” he said.